Build in 1944 for the Deutsche Reichsbahn. Series 52 was a simplified war-variant of the 50-series. This engine was at service from depot Knittelfeld. After 1945 she was at service in Austria. After 33 years of service she became part of the strategic reserve. After breakdown of this reserve fleet the engine was sold to the Brenner & Brenner Dampflokomotiven Betriebsgesellschaft mbH and brought back to running order. In 1989 the engine was moved to the Netherlands to the SSN. After revision in Meiningen in 1993 she was set out of service in 1996. 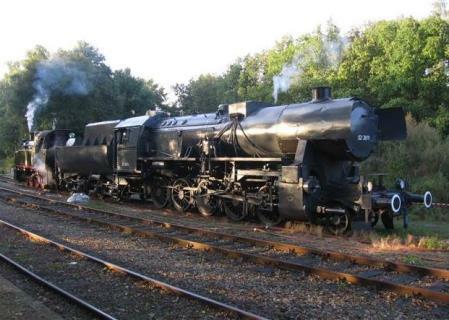 In 2003 the engine was brought to the VSM and set into running condition again. Remarks Class 52 was a redesigned version of the class 50, specially for war-time services. It used fewer and less expensive parts to speed up production. Over 7000 engines were made.